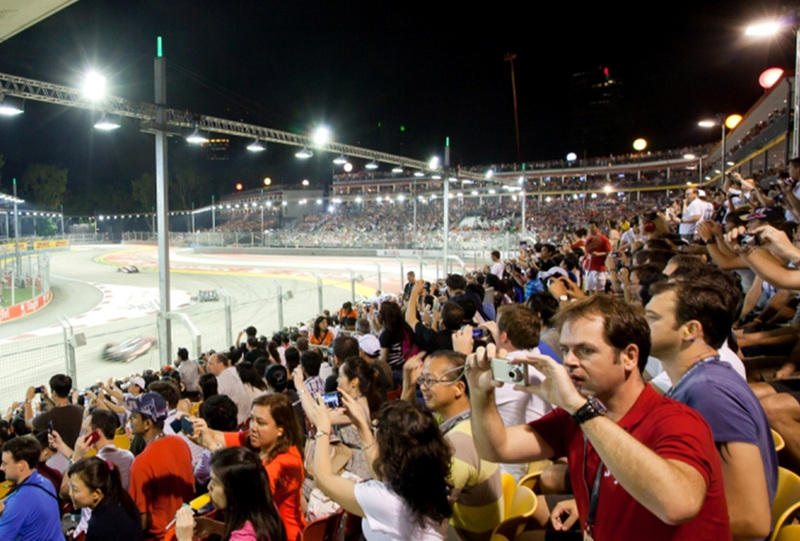 30 May 2012, Singapore – With over 100 days to the 2012 FORMULA 1 SINGTEL SINGAPORE GRAND PRIX, over 50% of the general tickets to Singapore's fifth installment of the night race has been sold to date. The three-day Zone 4 Walkabout tickets, Turn 1 Grandstand as well as the Turn 1 Combination, which enables spectators to experience the Padang, Bay and Turn 1 Grandstands over the race weekend are now sold out. There is also limited availability in the Bay Combination ticket category. "Ticket sales have been brisk, thanks largely to a fantastic Formula One season. With six different winners from the six races to date, it's anybody's game which will surely make for an exciting spectacle on our circuit come September," said Michael Roche, Executive Director of race promoter Singapore GP Pte Ltd.
"Fans have also been quick to snap up the three-day Zone 4 Walkabout tickets which is truly value-for-money, as they get to enjoy the race action and world-class performances from internationally-renowned artistes such as Katy Perry, Maroon 5 and Jay Chou with just the one ticket." There has also been a strong take-up of the 10,000-capacity hospitality suites with improvements to the layout of the hospitality facilities as well as the updated décor and menus being well received. Sales for the Formula One Paddock Club, Green Room and dedicated Sky Suites are in particularly strong demand. Both the shared and dedicated Club Suites on the Pit Straight opposite the team garages still have some good availability depending on location.